I make an effort to read three or four biographies per year about people I have admired or wanted to learn more about. For those who are avid readers, you may have a genre that you favor more than others. In the past two years I have made an effort to read a greater variety of books, especially by reading (or re-reading) classics and venturing into fiction. These genres are all fascinating and drive my spirit of mind. But, I keep coming back to my first love of biography. I believe that human lives are beautiful and are meant to be studied. It’s not because I don’t care about myself. It is also not because I think people who have a book written about them (or by them) deserve to be worshiped, either. I do love hearing about their adventures and great triumphs and feel like I am along for the ride. But, the secret to a good biography is learning that these great people we admire have made mistakes, just like us. I believe that God sees each of us as a biography being written. After all, He sees us for who we really are; imperfect people who need grace and an urging by his holy spirit to act. Thus, he sends us on a journey called life. Some of us have a harder journey than others. But, we are all meant to seek it for God’s greater glory and that means taking steps beyond what we could ever have imagined. I believe biographies exist to remind us that we are not alone in our struggles. 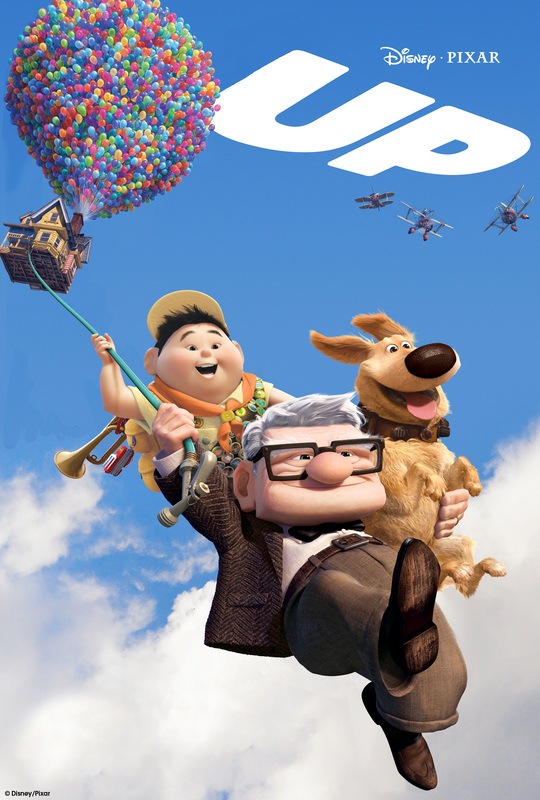 I think when I watch a movie like The Secret Life of Walter Mitty, it reminds me that we need to do more than dream. We just need to obey God and act. And by that act comes a great journey in faith. Watch the movie and the life of Walter Mitty to understand this scene. Although the story is fictional, Mitty’s life represents a living biography. Clearly he has dreamed but it his the transformation that counts. Start by examining your own life and how the story is meant to be told. Then read the lives of others to see how you can see your stories in theirs. This past year, I have read the following biographies and here is a quick lesson (of many) I’ve learned from each. 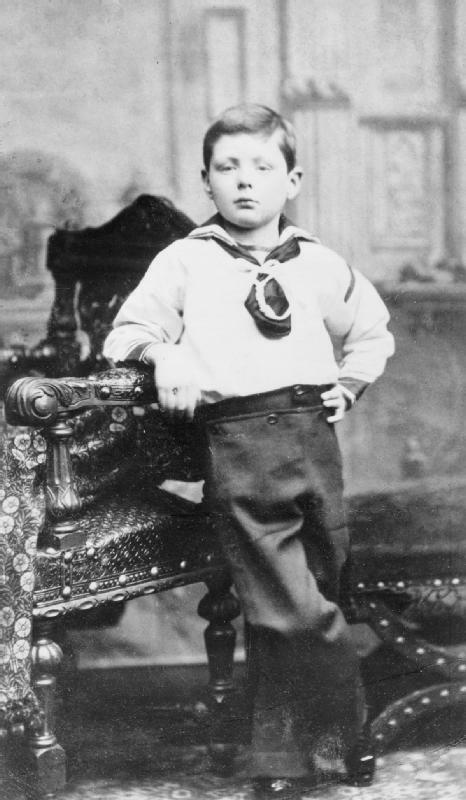 Young Winston Churchill at the beginning of his journey. Insight: Did you know that Churchill’s career was virtually done with at the age of 40? Did that stop him? “Never give in” were his words. And we now know him as the uniter of the English language to defeat Naziism. Insight: Eisenhower was blamed for not being tough enough on the Soviets in the 1950s. But, it was his restraint and patience that kept the world alive. Insight: Studying the life of someone like Pat Tillman who gave up millions of dollars to join the military post-9/11 is fascinating. But, think twice of why he really served. Insight: Ever wondered if CIA agents were all like Jason Bourne or Ethan Hunt? Think again. This is how real 20th Century CIA work was done. Biographies are meant to inspire us. They are here to compel us to move. I dare you to pick up a biography this week. Report back in on the journey. Remember, Bilbo Baggins needed to go on his adventures first before his story could be told. I wish more people could experience history as I did growing up. History is often the worst-tested subject among high schoolers in the United States. Kids have voted and they are rejecting history. Here are the most common complaints about history. What we missed is the beautiful and entertaining narrative of history. I minored in history in college but my education has not stopped there. 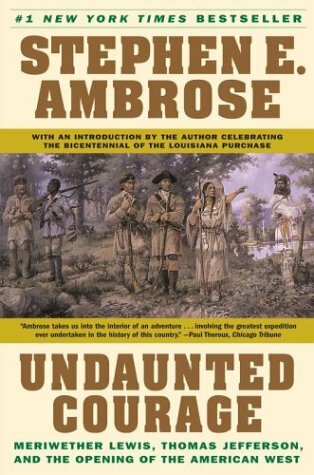 When I was 22, I picked up a copy of Undaunted Courage by Stephen Ambrose. It is the book that changed the way I looked at history. Undaunted Courage breathed new life into me and my hope is that others will find that kind of love in history books today. Here are six books that will make you fall in love with history. This is the grand story of Lewis and Clark, their commission from President Thomas Jefferson and their triumphant quest to reach the west coast. This is the book that helped make history books popular. Stephen Ambrose gives Lewis & Clark a new narrative and I recommend starting with this book. To fully understand war in its glory, propaganda, and sacrifice, you should read Flags of Our Fathers. It follows the six famous marines who raised the flag on Mount Suribachi on Iwo Jima during World War II. The 2006 movie by Clint Eastwood does a nice job capturing the story but the book is where you learn more about the characters, especially from the author James Bradley, son of one of the flag bearers, Doc Bradley. This is a fun book that gives a reader a sense of appreciation for the Scots and their incredible innovations that we benefit from today. Their contribution to the world was well beyond kilts and haggis. Who would have ever thought that a book about a 19th Century midwest World’s Fair would be so interesting? Larson provides readers with the dual storyline of H.H. Holmes, a notorious and inventive serial killer paralleled with the story of the main architect of the Chicago World’s Fair. Erik Larson is a tremendous storyteller and after you finish Devil int he White City, pick up a copy of In the Garden of Beasts. People to this day wonder what the Civil War was fought for. I’ve read dozens of Civil War books but this one by far provided the best context for the war’s beginning ‘s well as how our nation healed to become strong again. There are plenty of other great history books out there but if you have not read many before or have had a bad experience in history, I highly recommend you start with this list. Which other history books do you love and why?